Microbrewery businesses are exposed to a range of potential perils, including both risks that are common to many businesses and those that are more particular to the beer-making industry. Microbrewery insurance helps breweries in New Hampshire get protection from lots of the risks they face. Microbrewery insurance is uniquely designed to meet the insurance needs of small- and medium-sized breweries. Policies usually are written as package policies, combining several coverages together to give breweries multiple protections. What Coverages Are Available Through Craft Brewery Insurance? The exact coverages afforded by craft brewer insurance policies can vary, because breweries frequently adjust coverages to suit their specific needs and situation. Nevertheless, there are a number of coverages that are widely available through these policies. There are still more coverages, such as equipment breakdown coverage, key employee replacement cost coverage and restaurant property coverage that some breweries may want. Is Workers Compensation Coverage Included in Craft Brewery Insurance Policies? While craft brewery insurance policies offer many protections, they generally don’t offer workers compensation coverage. This coverage is normally purchased separately. An insurance agent who’s familiar with craft brewery policies can usually also help with workers compensation coverage. What Breweries in New Hampshire Can Benefit from Craft Brewery Insurance? 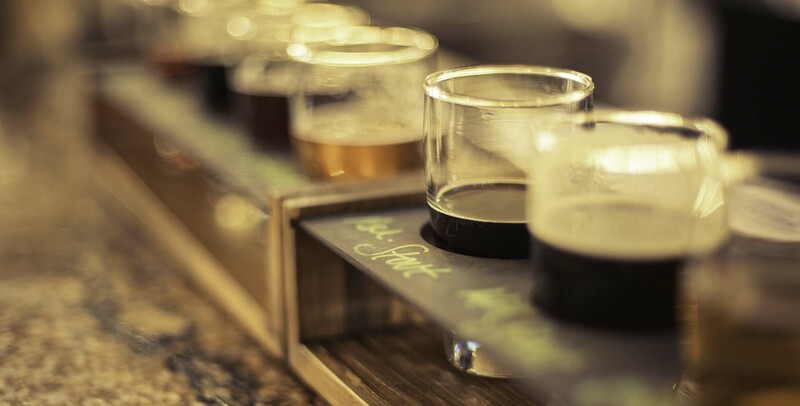 Craft brewery policies are primarily designed for small- and medium-sized breweries. There generally isn’t a commercial brewery in New Hampshire that’s too small for these policies, because selling beer commercially in any amount comes with inherent risks that these policies may help protect against. Breweries might, however, become too large for these policies. Large breweries might face additional risks that call for another insurance policy that has additional coverages. A New Hampshire insurance agent who specializes in craft brewery policies will be able to help breweries decide whether this type of policy or some other policy is best suited for their situation. Can Distilleries and Wineries Get Microbrewery Policies? While distilleries and wineries have some insurance needs in common with breweries, these businesses also have some unique coverage requirements. For this reason, wineries and distilleries should look at insurance policies that are tailored to their specific operations. What Factors Affect the Premiums of Microbrewery Policies? How Can Breweries in New Hampshire Get Microbrewery Insurance? For help finding an insurance policy that suits your brewery, contact the microbrewery insurance specialists at HPM Insurance. As an independent insurance agency, our agents are able to get quotes for policies from multiple insurance companies in the state. After doing so, they can help you compare each policy’s protections and costs to find the one that’ll offer the coverage your brewery needs at a price it can afford.